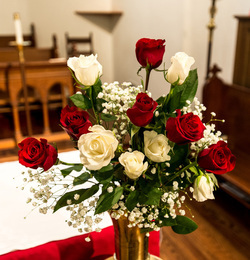 At St. James we want to celebrate the joyful events in your life and offer comfort during the difficult ones. From our clergy who are available to meet with you to our staff members who are experts in planning and preparation, we are here to help and guide you in these events. Learn more about each offering below.